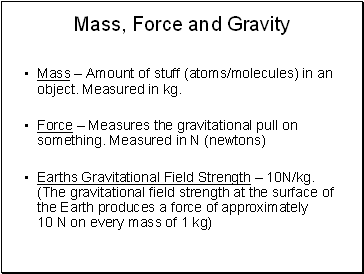 Mass – Amount of stuff (atoms/molecules) in an object. 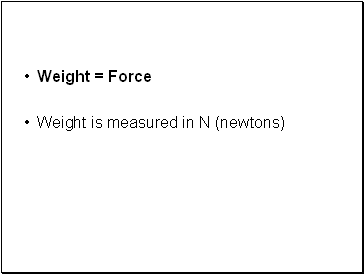 Measured in kg. 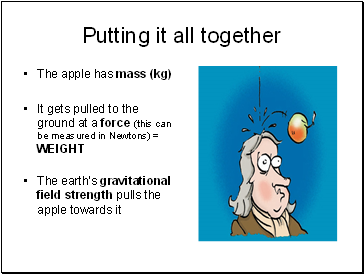 Earth’s gravitational force makes the ball move down towards the centre of the Earth. 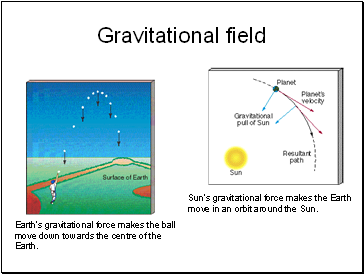 Sun’s gravitational force makes the Earth move in an orbit around the Sun. 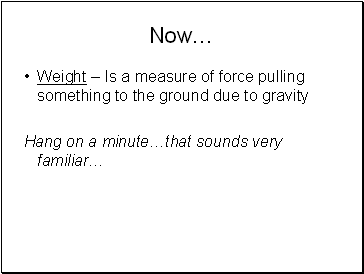 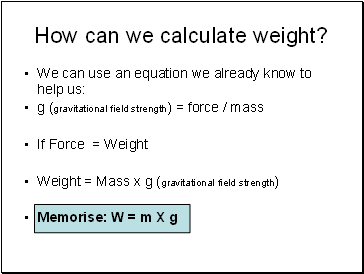 How can we calculate weight?